Conversation killer, my friends. 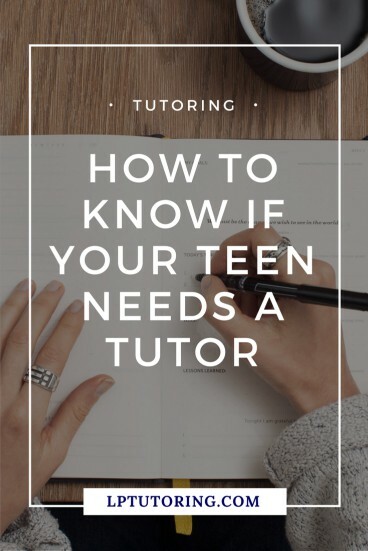 No parent wants to hear that their teen needs a tutor. But, it was a conversation that I needed to have with parents over the years. By the time I made the suggestion, though, their child had usually been struggling for a while. Why? Parents usually see signs long before a teacher does, but don’t realize what those signs mean. I taught my students for 90 minutes every other day. Even the most over-scheduled kid sees their parent for more time than that in a week. And kids act differently around their parents (for good and bad) than they do with their teachers. So, keep an eye out for these signs or behaviors; they mean something is up and a private tutor can help the situation. And if your child is struggling in Social Studies, English, organization, or study skills, I would love to help. You can schedule a FREE 30-minute session! This is the obvious sign. If your child’s grade suddenly falls, talk to your child AND the teacher as soon as possible. However, sometimes the grade slowly falls over time. In 7th grade, your child was earning As in math, but by 9th grade that has fallen to Cs. A private tutor can pinpoint gaps in your child’s skills and knowledge and help fill in those gaps. Some kids will hit a wall at some point in their academic careers. The strategies she was using no longer work and she doesn’t how to find new ones. Thus, the meltdown of frustration! 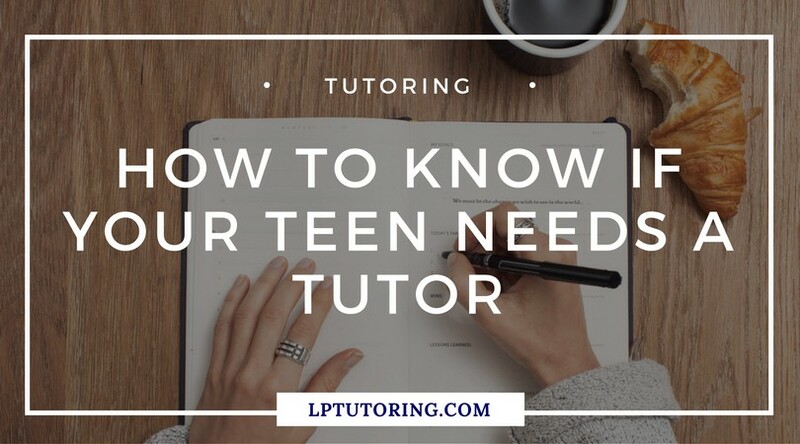 A private tutor can help figure out what’s no longer working and suggest new strategies. Is your teen suddenly taking WAY longer to complete basic work for a class? Hours to finish a page of math problems or to read 10 pages in a book? Granted, some kids just work more slowly. But if the time spent is starting to interfere with work for other classes or commitments, it’s time to call in a professional. Your hard worker suddenly doesn’t care about a class and has stopped working. Kids who feel that they can’t complete the work successfully, will simply stop trying. “Better to not stop trying than to try and fail,” they think. A tutor can help them figure out what went wrong and how to turn the ship around! If your child is diagnosed with a learning disability, finding a specialized tutor can be super helpful. 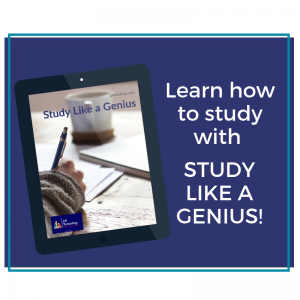 He or she can show your teen specific strategies or learning techniques that work for your child’s brain. They can also act as a liaison with the classroom teacher or teachers. Did any of these warning signs sound familiar? If so, it’s time to e-mail your child’s teachers and/ or counselor and find a tutor! And if your teen is struggling in Social Studies, English, organization, or study skills, I would love to help. You can schedule a FREE 30-minute session! 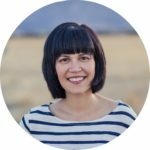 Related Posts: How to End Homework Battles for Good, How to Find the Right Tutor for your Child, How to Work Successfully with a Tutor, What the Heck is Executive Functioning?